Fashion and beauty trends tend to change so quickly, but when they are in, everyone wants it. Feather hair extensions are no exception. Young women love the trendy look and anxiously head to their local hair salons to get this unique look. But one should ask themselves where these feathers actually come from. These feather hair extensions are typically rooster feathers that are on their backside commonly known as saddle feathers. Over the course 45-60 weeks, these roosters are specifically breed and genetically altered to produce unnaturally long feathers. Once the feathers have grown enough there is no more use for the roosters so they are composted. Before the fashion trend, the sole purchasers of these feathers were typically fly fisherman who used these as lures. As soon as it became popular to use as a hair accessory, shop owners saw their supplies quickly diminish and fishmen started to struggle to afford their valued feathers. Whiting Farms, which is located in western Colorado, is one of the largest producers of fly tying feathers. 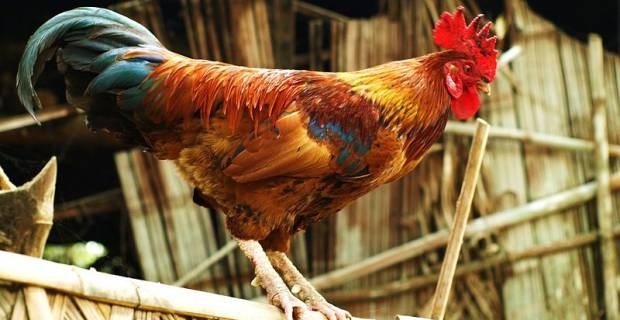 In 2000 the farm claimed to harvest over 125,000 roosters. Unfortunately ladies that wear these feathers can only keep them in for 2-3 months before they have to be discarded. There are many alternatives to using rooster feathers which will be beneficial for both your wallet and the roosters. Here are a few of the various Hybrid synthetic hair extensions you can find. While there is nothing wrong with keeping up with fashion trends and being stylish, it is important to try and be conscientious of where the objects that you wear orginate from. It may seem that the feather hair extensions that you are wearing aren't making that large of an impact, but every feather counts.